Body approximately 20" x 14"
Look, spiders have feelings, too, you know, and when you’re always screaming at the sight of them, sometimes it can get them down, just like anybody else. Think about it! They’re just hanging around, minding their own business, trying to catch some flies and eat all of those super creepy centipedes you hate (you’re WELCOME), and then you come along, start screaming your head off, and reach for the nearest broom to do this dude some fatal harm! Not chill, bro. Didn’t Charlotte’s Web teach you anything?! So do yourself and your karma a favor by getting real comfortable with these six-legged buds with this Huge Spider With Light Up Eyes. 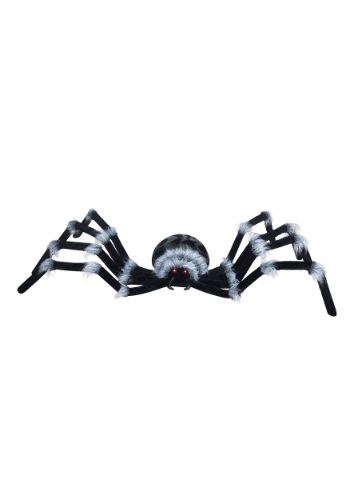 Sure, it’s terrifying, and the plush finish and light up eyes make it even creepier, but the plus side is that having this little guy hanging around will get you used to the sight of spider, helping you stay laid back when a real one starts crawling up your bed toward your face while you sleep!